You are here: Home \ Resources \ Bio Fuels – Are they really an alternative for fossil fuels? Bio Fuels – Are they really an alternative for fossil fuels? In present times, when everyone is concerned over depleting reserves of much valued “petrol” and “diesel”, or simply to say over fossil fuels, a lot of attention is being paid to a category of alternative fuels called biofuel. Everywhere biofuels are being discussed as an alternative to the other fossil fuels like coal, natural gas etc. Perhaps the best definition for biofuels can be “the fuel which is derived from biomass, which is from living or recently living organisms or material”. It may include wood, waste, alcohol fuels etc. The main argument over which biofuels are researched upon is the ever dwindling supply of fossil fuels and the environmental concerns. So we are focusing our attention towards the use of biofuels as other sources of fuel are depleting faster and the entire humanity needs energy for their survival. Some of the fuels falling in this category, which have been the cynosure for some time, include bioethanol and biodiesel. 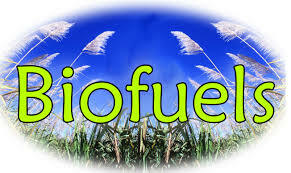 Bioethanol falls under the category of alcohol fuels which are derived from the action of microbes through the fermentation of various sugars. Sugars used are derived from wheat, corn, sugarcane etc. Biodiesel is the most common biofuel used in Europe. It is produced by trans-esterification of oils and fats. Oils are mixed with Sodium Hydroxide and subsequent chemical reaction produces biodiesel. The feedstock of biodiesel includes animal fats, vegetable oils, soy, rapeseed, jatropha, mahua, mustard etc. Biofuels are mainly aimed to be the substitutes for fossil fuels. Consequently, many automobiles are now made which are flexible enough to accommodate biofuels as the driving source of energy. Though they may be derived from agricultural constituents and can be perceived as eco-friendly by anyone who is reading about it for the first time, they have major drawbacks which are raised from time to time. After all, looks can be deceptive! There are various social, economic, environmental and technical issues with biofuel production and use, which have been discussed in the popular media and scientific journals. These include: the effect of moderating oil prices, the “food vs fuel” debate, poverty reduction potential, carbon emissions levels, sustainable biofuel production, deforestation and soil erosion, loss of biodiversity, impact on water resources, the possible modifications necessary to run the engine on biofuel, as well as energy balance and efficiency. The International Resource Panel, which provides independent scientific assessments and expert advice on a variety of resource-related themes, assessed the issues relating to biofuel use in its first report towards sustainable production and use of resources: Assessing Biofuels. “Assessing Biofuels” outlined the wider and interrelated factors that need to be considered when deciding on the relative merits of pursuing one biofuel over another. It concluded that not all biofuels perform equally in terms of their impact on climate, energy security and ecosystems, and suggested that environmental and social impacts need to be assessed throughout the entire life-cycle. There are some major flaws found in these fuels. First is the very concern of increasing food prices since lot of grains are used in the making of these fuels. And when we talk about them as substituents of fossil fuels, the lands required are enormous and in many cases non-sufficient for the whole country. In the U.S. even if the entire corn and soybean crops are turned into biofuels, they would replace just 12 percent of our gasoline and a paltry 6 percent of the diesel. This fact is very harrowing and puts a big question mark over the feasibility of biofuels. 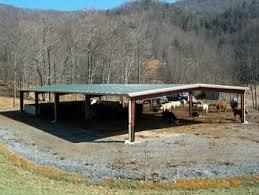 Another important factor about them is the energy output we get from the biofuels. Bioethenol from corn has output efficiency of 1.36 to 1, that is the gain in energy is not significant to convert it into a major fuel. Though other crops have better output ratios, but they are too expensive to produce, as for now. Another major drawback is the technology used for production. It is said that the techniques used are not at all eco-friendly and hence the whole cause of biofuels is lost. Research is ongoing into finding more suitable biofuel crops and improving the oil yields of these crops. Using the current yields, vast amounts of land and fresh water would be needed to produce enough oil to completely replace fossil fuel usage. It would require twice the land area of the US to be devoted to soybean production, or two-thirds to be devoted to rapeseed production, to meet current US heating and transportation needs. Specially bred mustard varieties can produce reasonably high oil yields and are very useful in crop rotation with cereals, and have the added benefit that the meal left over after the oil has been pressed out can act as an effective and biodegradable pesticide. These aspects make seem the very point of researching biofuels as non-feasible. But let us not forget that any idea needs proper research before it can be turned into major success. May be, we can make the procedure of manufacturing biofuels more sustainable and highly efficient as the research goes on. But again we live in the present and, as of now; their future seems to be in dark shades. But who knows!